travel | this is what I never expected to do. this is a new year’s post. Bilbo: You can promise that I will come back? I’m not going after dragons, gold under mountains, or fighting off orcs or goblins, but it’s been an adventure being here in Japan. I find it hard to believe that it’s already 2013, and that I left St. Catharines nearly two years ago. 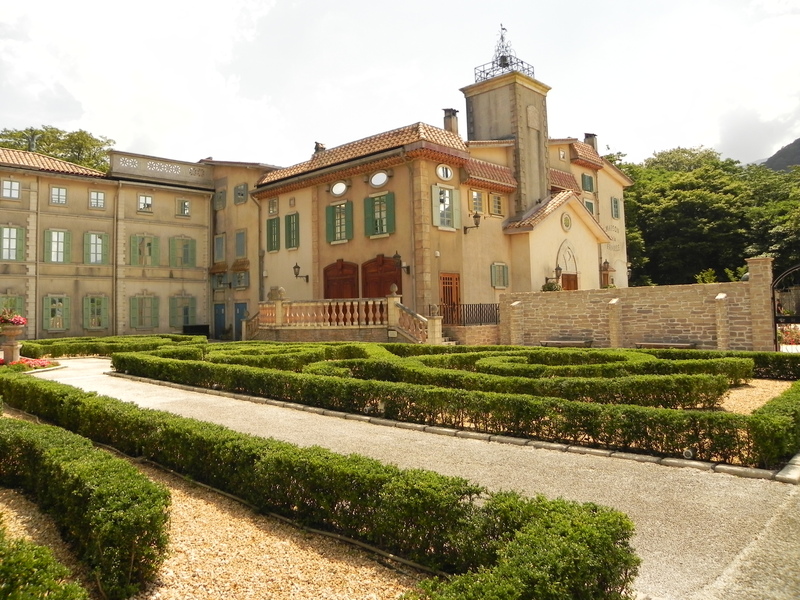 Where I went: Yakushima, Kanazawa, Okinawa, Paris, London, Tokyo, Naoshima, Hakuba. Various experiences: scuba diving, snorkeling, eating whale, eating raw horse, snowboarding, going to a sumo tournament, living with a roommate, being on Japanese TV (albeit how briefly). If I had to sum up something that I’ve learned throughout 2012, it would probably be not refusing things. I’ve always thought that I have a tendency to say yes to things. Little things, like invitations to going out with people or to parties, or if someone asks for my help with something. But there are all those other things that I’m not necessarily asked or called upon to do which, perhaps, I’ve avoided and said no to, despite not being asked for a response. Seemingly simple things like eating mushrooms or fish (whether it still has its head and eyes, or it’s scales, or an assortment of bones, or it looks funny…). Cycling around an island full of butterflies. Swimming with fish. Being in a good relationship. But in 2012, time and time again, I pushed myself out of my comfort zone and cycled around an island full of butterflies, picked fish meat off a fish that was staring back at me the whole time, swam with lots of fish, ate lots of mushrooms even though I still don’t really care for them, got into and am still in a wonderful relationship. Perhaps seemingly unspectacular things, but fairly significant for me. There were countless little funny episodes that made 2012 delightful. Being complimented multiple times on my English. Having a taxi driver tell me to make sure I don’t keep my windows open in summer even if it’s really hot because bad men will try to get into my apartment. Creeping into my friend’s hostel in Okinawa to sleep for a few hours when we didn’t have our own accommodations. Learning that UFO Catcher’s aren’t impossible to win (I have two pairs of slippers and a couple of cheap towels to prove it!). Meeting another half-Japanese Morimoto with whom I seem to have at least a few things in common. And now it’s 2013. A new year for new adventures. Fifteen minutes or so until boarding begins for my flight departing from Toronto. I didn’t realize that it’s still dark out here at 7 in the morning. I don’t think it’s this dark in Japan at 7. Things I haven’t given much thought to. Waiting for this flight is so much better than the flight last February. What a relief to know I have my apartment waiting for me, with all my pictures on the wall, my bed made, internet access, cold, filtered water in the fridge, friends. That whole “fear of the unknown” thing in early 2011 didn’t make for a comfortable flight. I haven’t packed very well, though. I had way too much stuff in my suitcase, because I didn’t feel like lugging my second suitcase back to Canada with me. After some rearranging, I am now carrying all my stuff in four bags instead of three, two of which, of course, are checked. I’ll see my luggage again in Tokyo’s Narita Airport, sometime on Tuesday afternoon, where I will have to retrieve it and carry it all with me via train to a different airport. The airport is an interesting in between space. Leaving my Canada life, going to my Japan life. There seems to be little connecting the two, beyond myself. But I do miss my friends and family here already. I’ve been urging everyone to come to Japan this spring/summer. So what if it’s expensive? The memories you’d make would be priceless! It is currently 7:30, Monday morning. 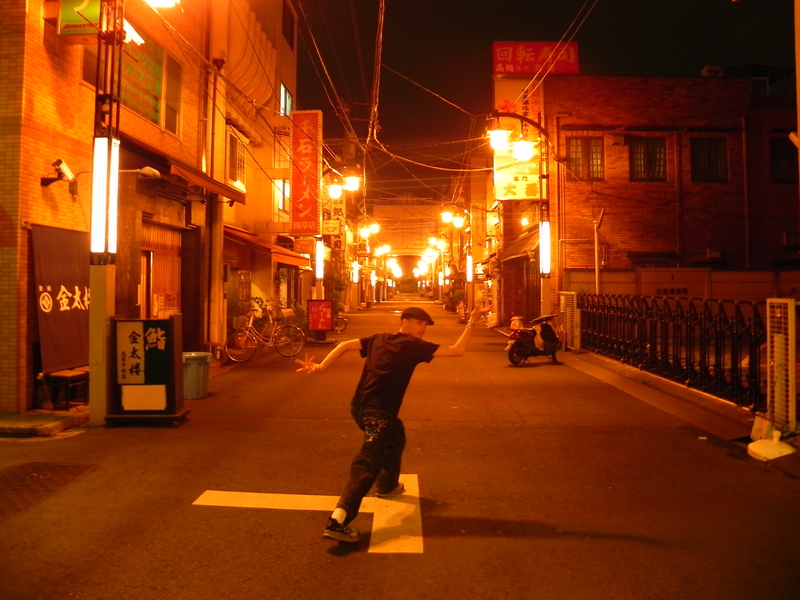 I anticipate being back in my apartment in Osaka around 11 or 11:30, Tuesday night. this should tie (thai) us over. (Summer Vacation Part 3). Day 3 had a rough start. We left Hiroshima around 8:30 PM. We had to transfer trains in Nagoya at 11:30. We arrived at Numazu Station (wherever that is) at 3:00 AM, and our next train wasn’t until 5 AM. We didn’t have a plan for what to do for two hours in the middle of the night. As we walked around this small station trying to figure something out, we saw a couple of business men passed out on a couple of benches. Not much further down the wall, conveniently, were two more benches. Without much hesitation, we each laid down on one after setting an alarm and passed out until just before our next train arrived. We had no worries about being kicked out or about our belongings. We needed to sleep! A couple trains later, we finally arrived in Hakone at 6 AM. Hakone seems like a lovely place. 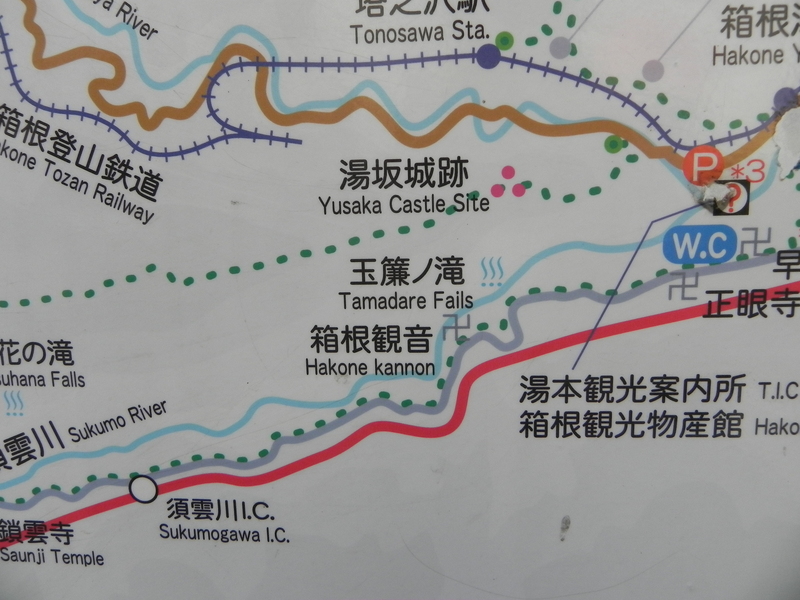 I think I heard someone once tell me that Hakone is to Tokyo what Shirahama is to Osaka – but to most of you reading this, that probably means nothing. 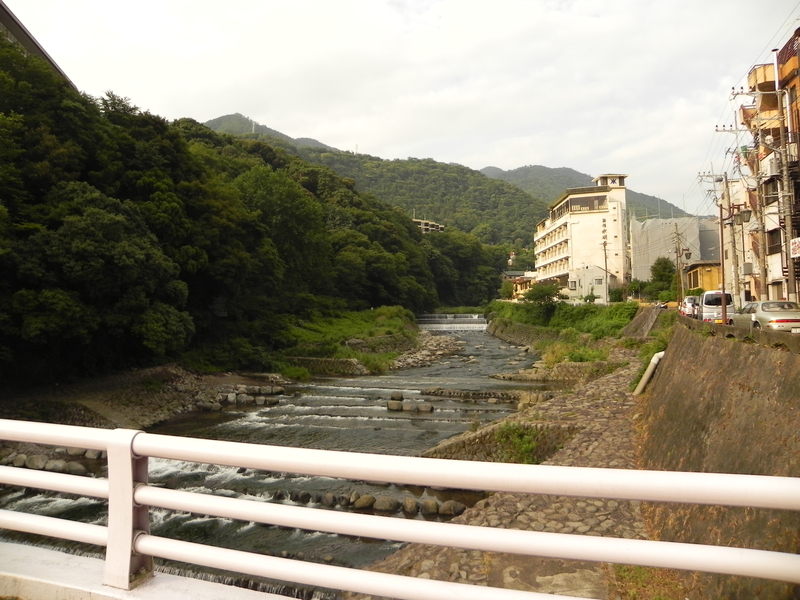 It has a lot of onsen (hot springs), pretty views and nature and trees and stuff, and probably more. We, however, were there for one thing only: The Little Prince Museum. Several years ago, I stumbled upon a website about this museum and, what with it being one of my favourite books and all, I decided that whenever I made it to Japan, I needed to go to this place. So we went. It’s a strange place for it, though. It’s not easily accessible at all. I still can’t figure out why exactly there is such a lovely museum about a book that originated from France in the middle of Japan. I guess it’s just popular here. 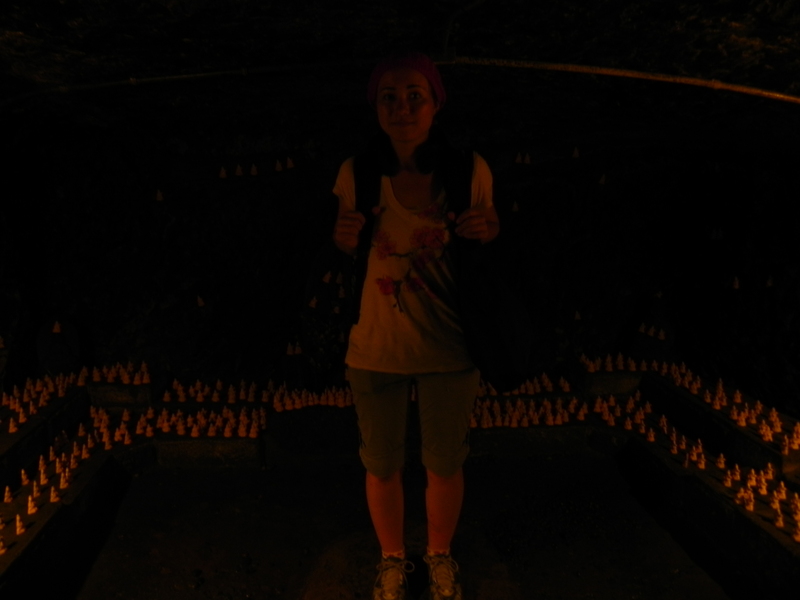 After our long day in Hiroshima we learned a valuable lesson: use coin lockers. We each had two bags with us, one with our clothes and toiletries for the next two weeks, and another for daily traveling needs. In Hiroshima, we carried everything around with us the whole day. There are coin lockers at most stations. From Day 3 onwards, we made good use of them. It was also at the beginning of day 3 that I started noticing the severe lack of soap in most public restrooms (how I hadn’t noticed this before then, I don’t know…). The bus ride up to where the museum was took awhile, but it was a beautiful ride. We forgot that it was so early in the morning, though, and nothing was open. We were starving, but no restaurants opened until 10. 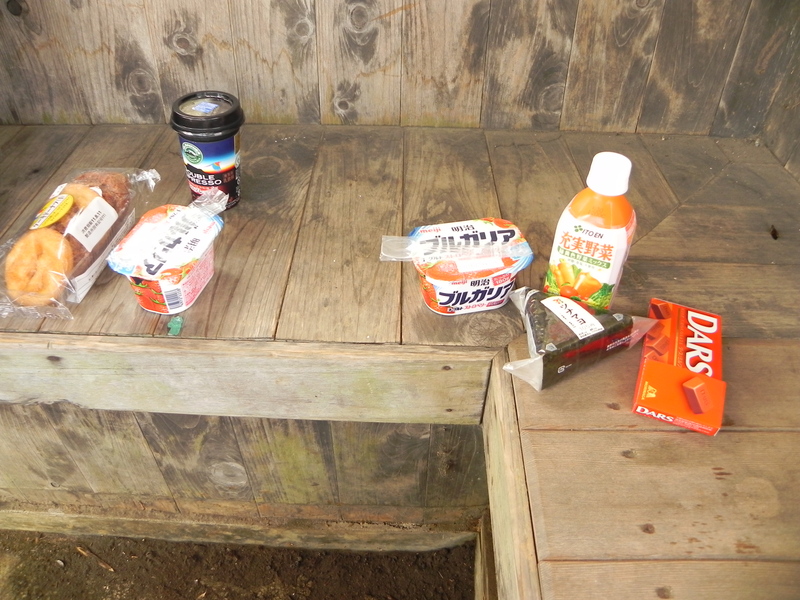 So after wandering around a temple that was tucked away from the main road, I found a place at which I could buy some smoked cheese, and then we found a seven eleven and had donuts, yogurt, rice balls, chocolate, espresso, and juice for breakfast, sitting in an old wooden bus stop. It was classy. As we’re finishing breakfast, I realize that I’ve lost my iPhone (my Canadian iPhone that mostly just functions as an iTouch here; I use it a lot!). Dan and I then remember the sound of something hitting the floor of the bus on our way up there. I was sleeping to avoid motion sickness and so didn’t check what it was. I won’t go into detail about how we fixed this; it’s a lot to type out. Finally, we went to the museum and it was beautiful and awesome and wonderful and everything I’d hoped it’d be and more. From the outside it looks like a large, old, French villa (I don’t actually know what a large, old French villa looks like), surrounded by a lovely garden. I wanted to buy the entire gift shop, but it wasn’t realistic, given that we still had another 10 days of backpacking around Japan to do. As I was about to browse the gift shop, Dan went to the bus information center nearby to continue the quest for my iPhone. 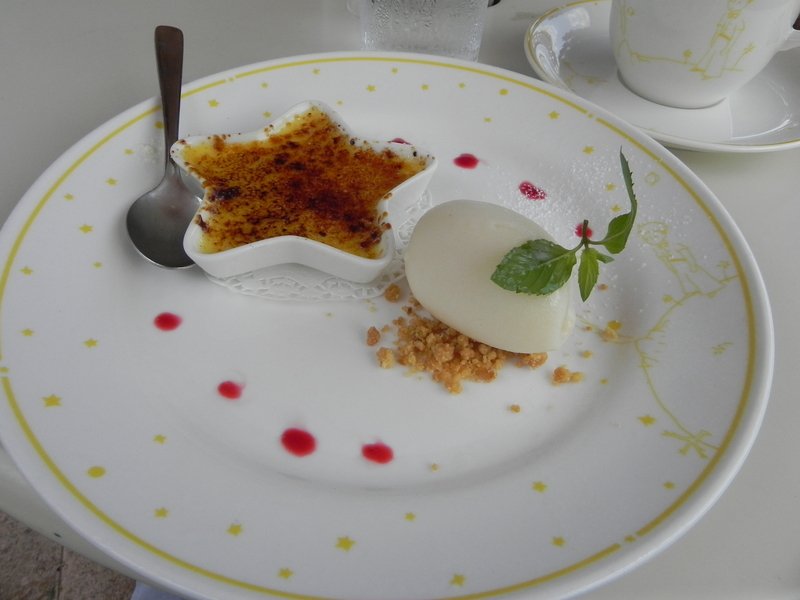 He came back so we could go to the Little Prince cafe/restaurant together and returned me my iPhone (“I’m sorry. It looks like we’ll have to go back to the bus information center… to thank him for helping us get your phone back!!”). Starting a trend that would last most of our trip, before having any substantial meal yet that day, we had dessert at the cafe and it was good. We followed this up shortly after with some of the best gyoza we’ve ever had. 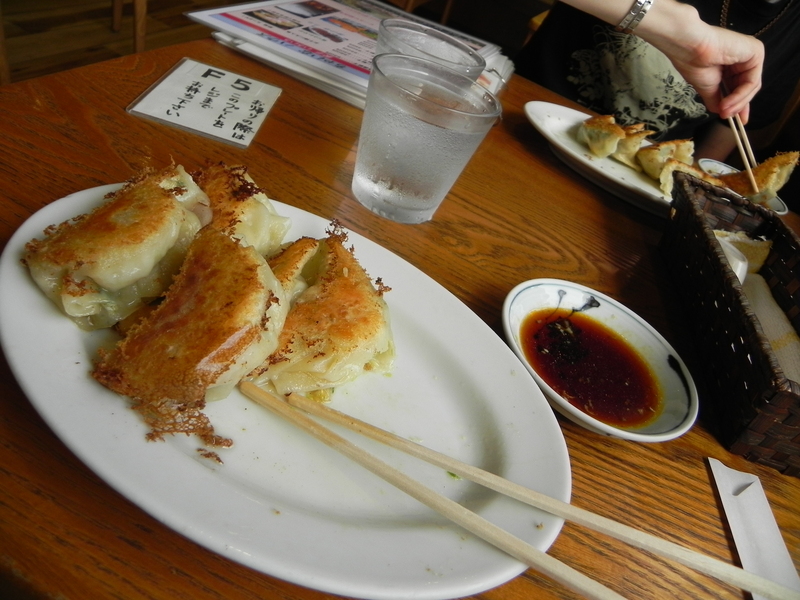 The gyoza was followed up with a stop to the bus information center where I thanked the man working their for his help. 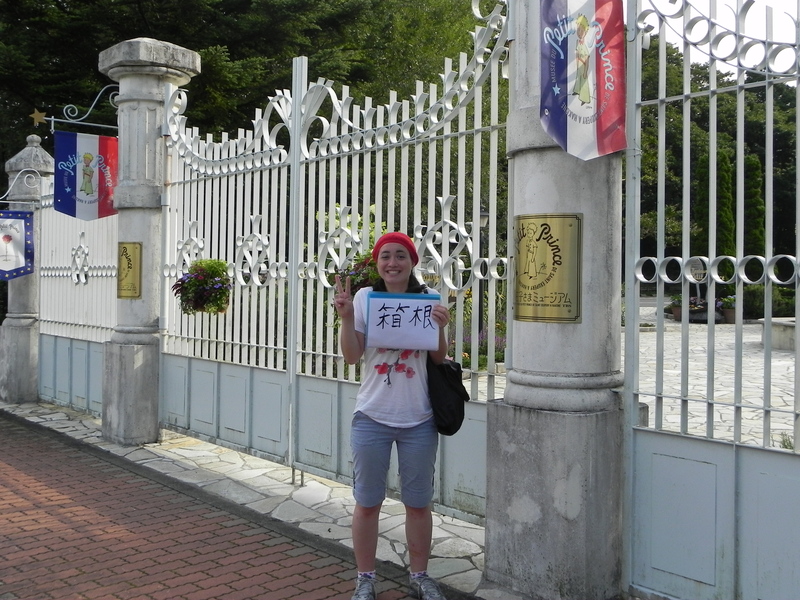 And so began our series of “yatta!” photos (yatta basically means “I did it!”). We made our way back to the train station and left for Kamakura. The city made a first good impression as right after we got out of the station, a woman came up to use and helped us with directions without our even asking. On our way to find the Daibutsu (Big Buddha), we charged up with some energy drinks. The walk there was charming. 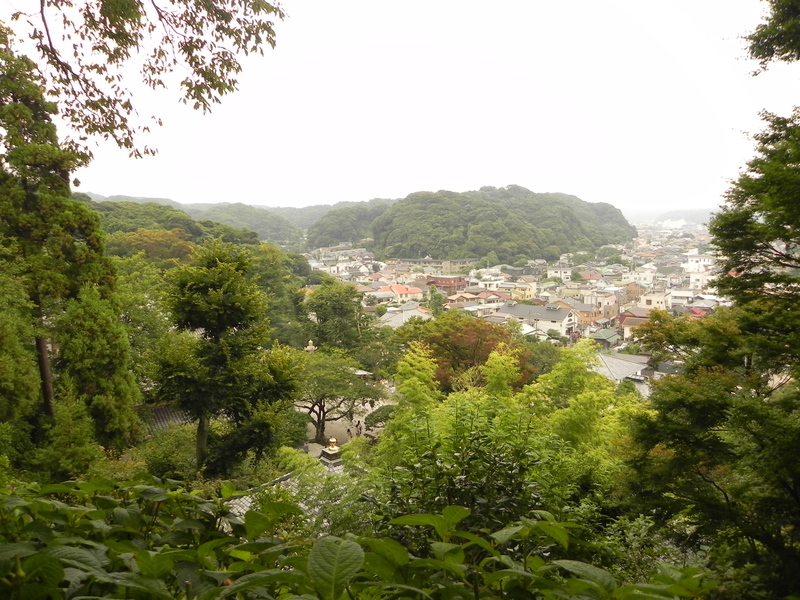 Kamakura seems to be a pretty small city and it’s really cute. It has the feeling of a little cottage town – for me, anyway. 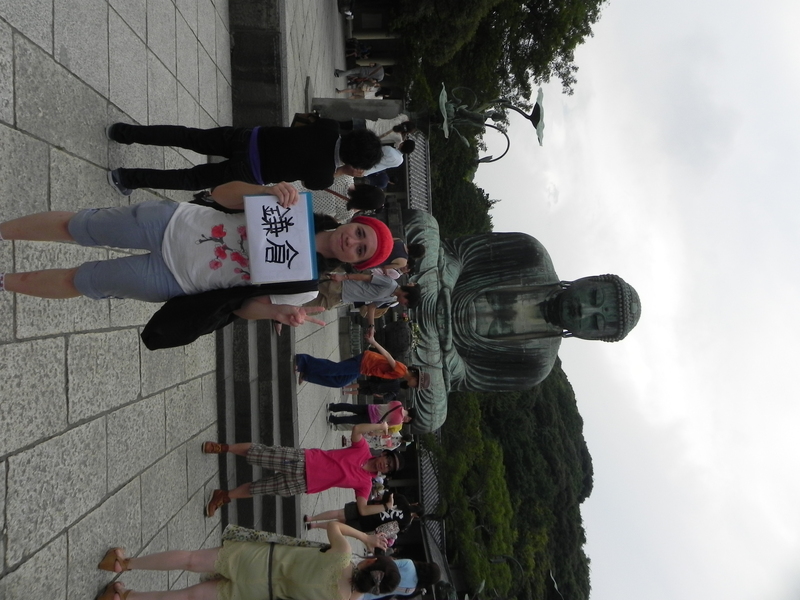 The Daibutsu was neat. 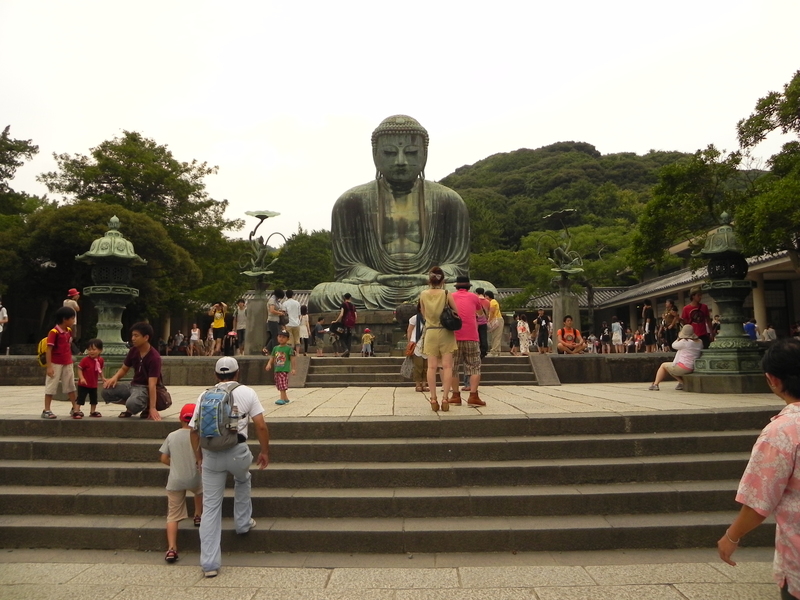 There’s another Big Buddha in Nara at Todaiji Temple (this is about an hour from me by train) that’s bigger than the one in Kamakura, but this one, unlike the Nara one, is not contained in a building, and is impressive out in the open. 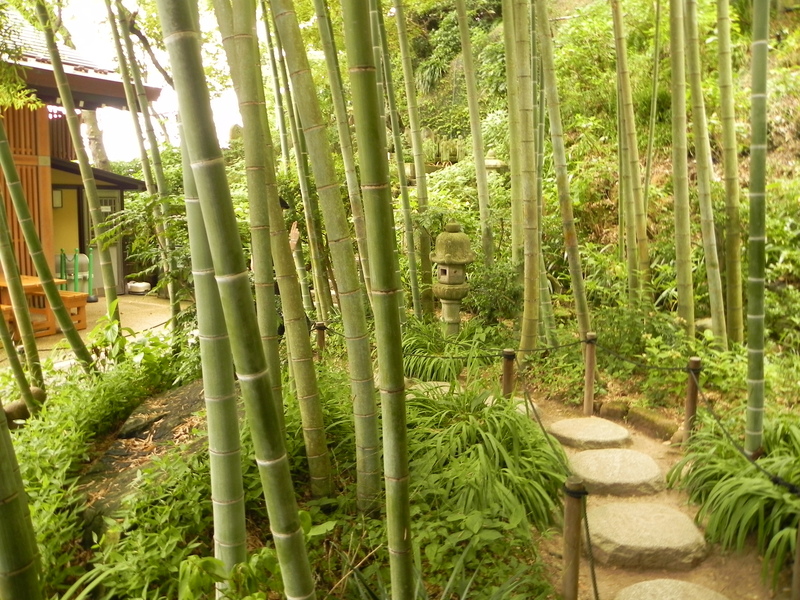 We wandered over to some other temples where we enjoyed a lovely view of the city, some bamboo, and a little cave. This is where Dan acquired a fan that he found on the ground that ended up being very handy to have around for the rest of our trip. 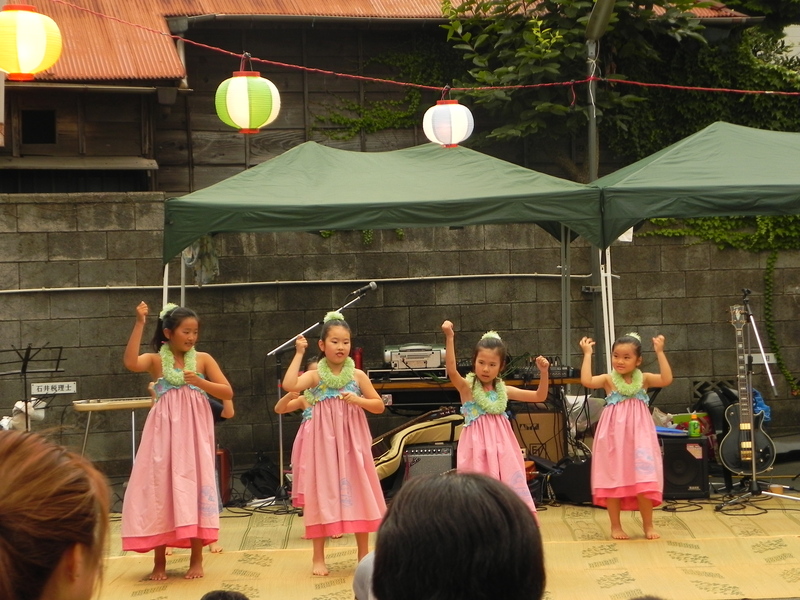 On our way back to the station, we stopped briefly at a little festival where there was a small group of young girls doing a hula dance. 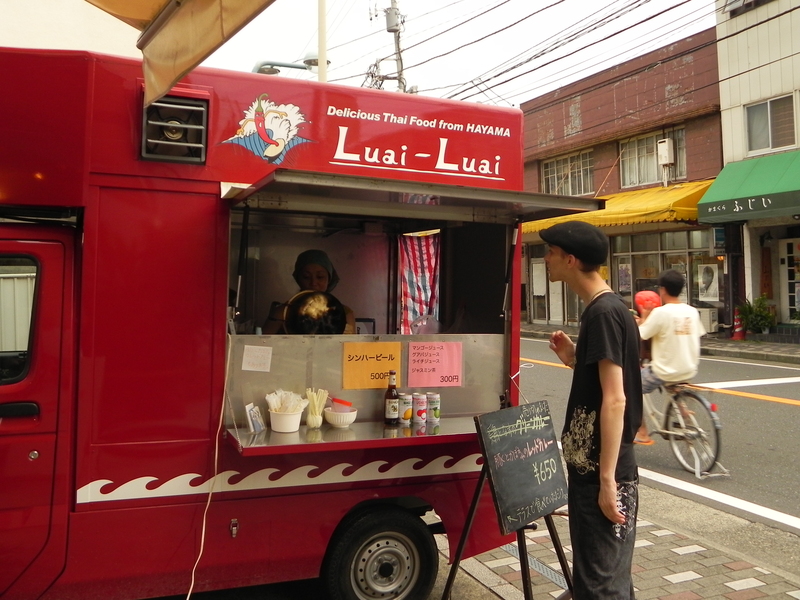 And we found a small Thai food truck where we bought some red curry to share. There didn’t seem to be a whole lot to do in Kamakura, but we really enjoyed the atmosphere, walking around, seeing what little shops and and things were there. And then to Tokyo! We made our way to our hostel with ease, having learned over the past seven months how to read Japanese addresses (they have a bunch of numbers in them that can be confusing if you don’t understand – my address is something like “1-1-7-303”). It was one of my favourite hostels during our trip. There were four people to a room on two bunk beds. The rooms were very clean and spacious, and had a a bathroom and toilet (in separate rooms as they are in Japan) attached. It had the feeling of something in between a hostel and a hotel. We were sharing a room with only one other person, though, a nice fellow from England who was doing some traveling around on his own. We got some kaiten sushi (basically, everyone sits around this big counter as a conveyer belt of sushi and other things go by on little plates and you pick up what you want when it goes by…); it was my first time and it was great! 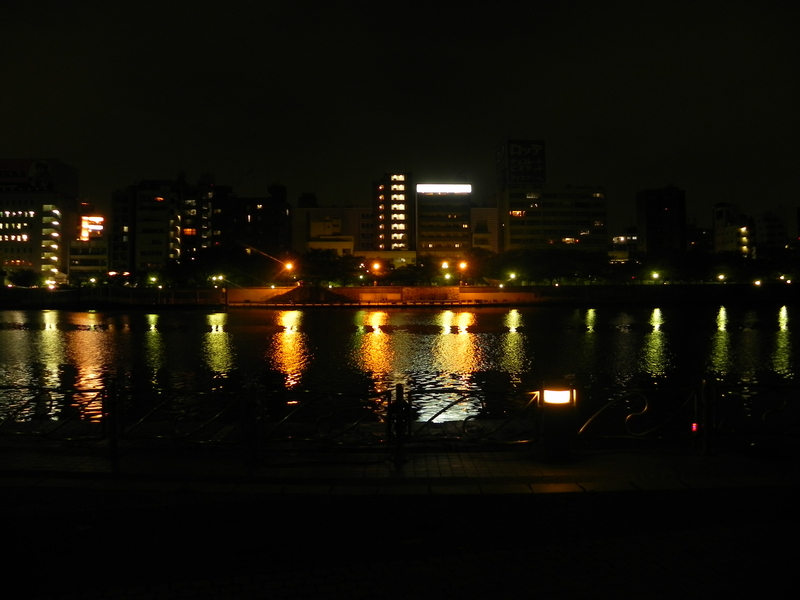 After being out for awhile, we sat by a nearby river and enjoyed just being in Tokyo before heading back to sleep. The only way I can recollect all of this is from the notes we took at the end of each day for the purposes of writing this all up. The last note for this day reads: “sleep in a bed = win”. After having spent a night on a bus, then a night on trains and benches, we slept very, very well. IN SUM: Hakone was a beautiful area that I wish we had more time to visit, but my main goal was accomplished. The nature there was lovely and we had a clear blue sky with which to enjoy it. Kamakura was a charming little place with lots of neat little shops and lots of little places to get food or soft serve. I loved the atmosphere there. It was very laid back and relatively quiet. We were very excited to finally get to Tokyo, which was a big change from the other two stops we made that day. It was a packed day, but we had a great time and never got lost or confused about anything. Our journey continued smoothly. We rested up well that night so that we could take on Tokyo for the next day and a half. You are currently browsing entries tagged with travel at this is what I never expected to do. .